ack! Everyone is now getting instagram! I was so excited for it to come to android and I even signed up for the emails so I could be one of the first to know when it came out, and I DON'T HAVE A PHONE. Mine broke about two weeks ago and my phone company is dumb and lost the replacement phone they were sending to me. So now I'm phoneless and super jealous that everyone is getting instagram without me! 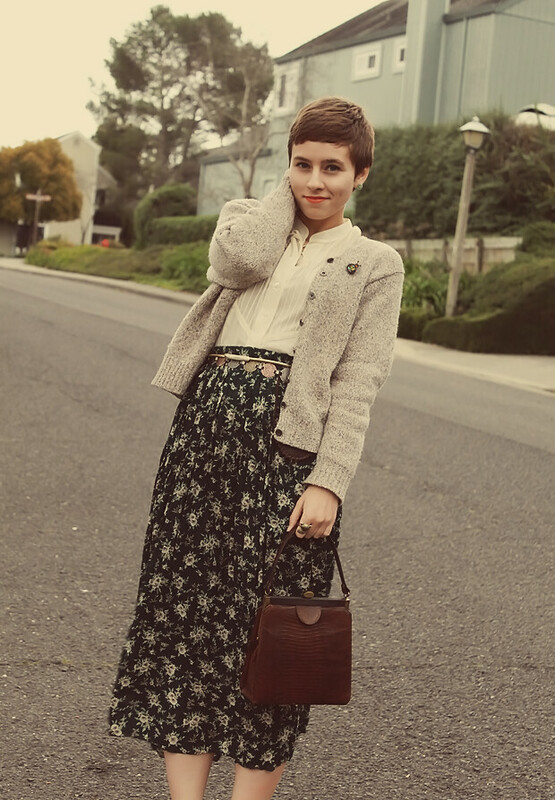 Such a classic Elanor look! 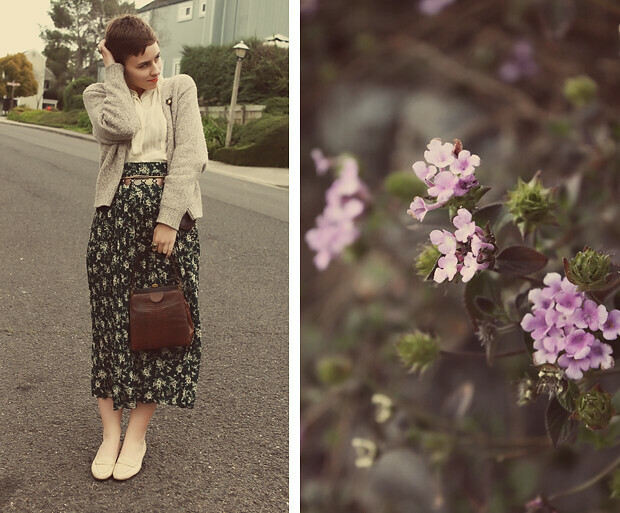 I am loving midi floral skirts for spring and you made this one look lovely! Ah what?? Instagram is on android now? Oh man. I might have to check that out for real. I'm going to download it right now. and figure it out. and add you. 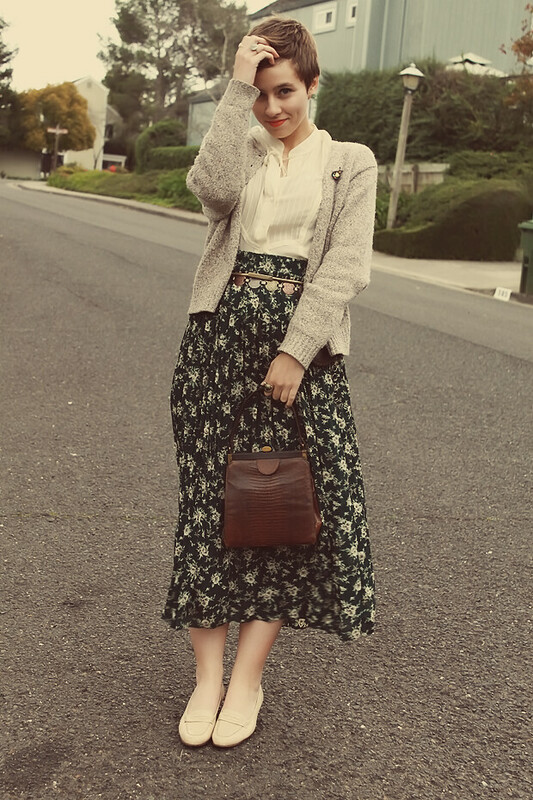 the shoes are so perf and i love the oatmeal cardi!! 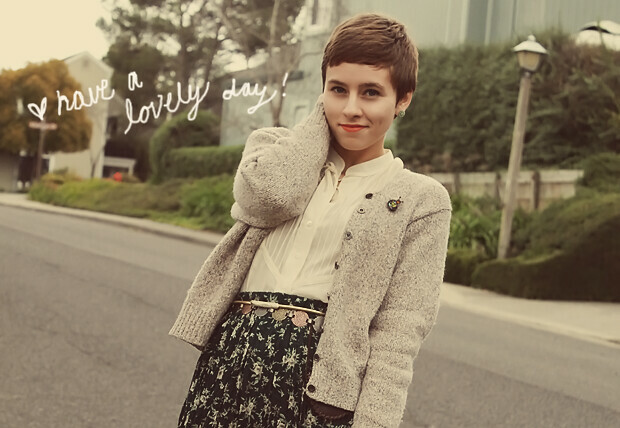 You look lovely as always. I'm always on the hunt for pretty new locations but unfortunately those locations are usually overrun with other people which makes me too shy to snap pics. I just found your blog. 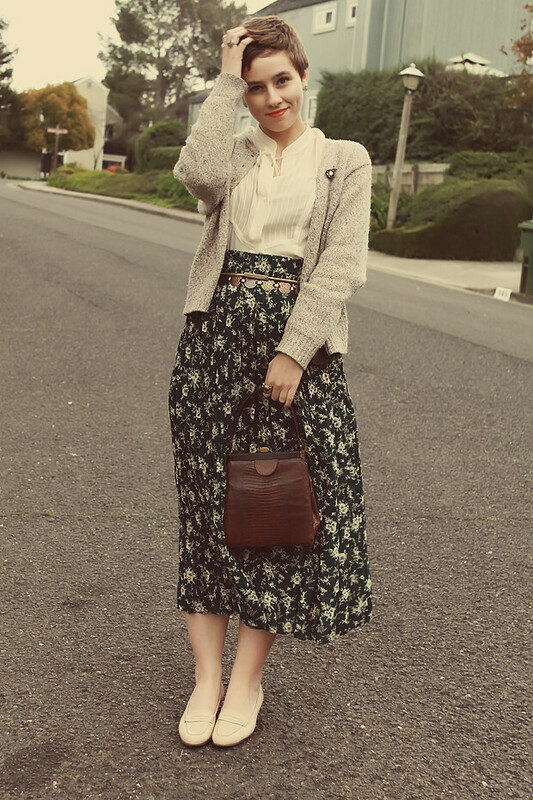 I love this outfit and the entire feel of Missing Lovebirds. Its really pretty. I love that skirt on you! It's darling!